Travelling to Mull from central Scotland by car, the most direct route is via Tyndrum. A minimum time to allow for direct travel to Tyndrum from central Glasgow is one and a half hours. From central Edinburgh, allow two and a half hours to Tyndrum, driving either via Stirling and Callander or the M8 to Glasgow. 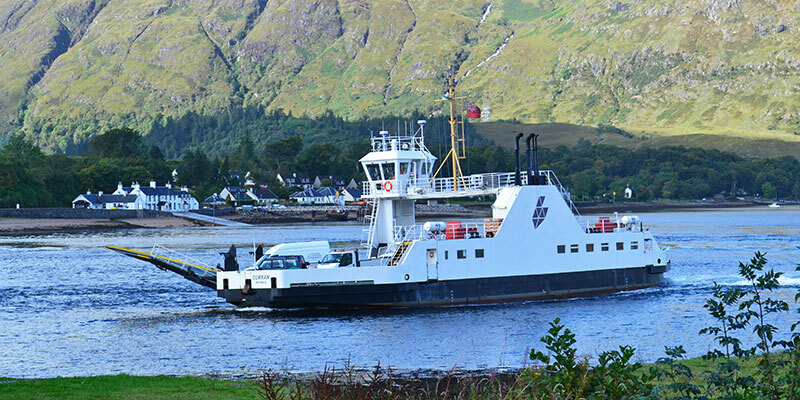 To reach one of the two smaller ferries to Mull, you may decide to travel via the Corran Ferry. This page was last updated April 07th 2019 . 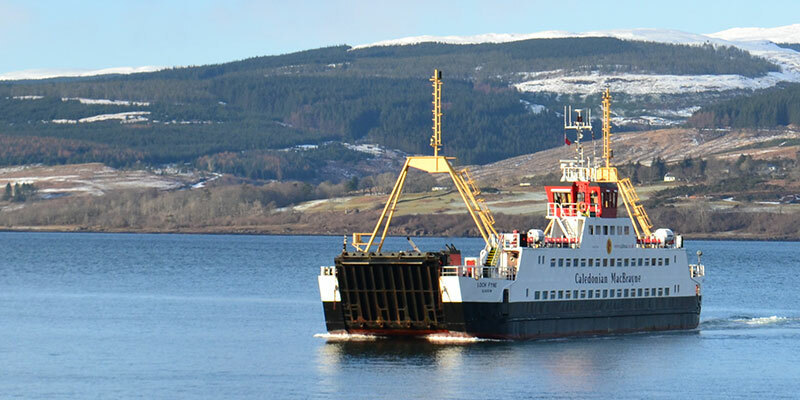 The most popular ferry to Mull from Glasgow and the south is the crossing from Oban to Craignure, the longest crossing and the largest ferry. These sailings can fill up several weeks in advance in the summer season, so booking in advance is recommended. A standard car with two adult passengers currently costs £42.30 for a return journey. Crossing time is 50 minutes and you must be at the Oban ferry terminal at least 30 minutes before departure. 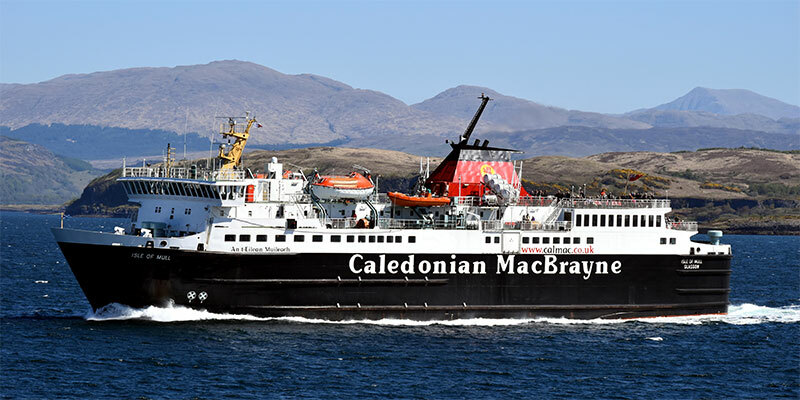 See the CalMac Summer 2019 timetable between Oban and Craignure (until 20th October 2019). Driving distance between Tyndrum and Tobermory taking this ferry route is around 58 miles and total journey time over land and water is at least 3 hours - this allows for the minimum half-an-hour check-in time at Oban, but more is recommended at busy times of the year. Minimum journey time to Tobermory on this route is 4.5 hours from central Glasgow or 5.5 hours from central Edinburgh. Scenic alternative motoring routes from Glasgow: driving an alternative route to Oban from Loch Lomond via Inverary then the A819 doesn't take much longer, and taking the A83 and A816 via Lochgilphead long way round adds about 45 minutes to the Oban journey. The MV Isle of Mull ferry sailing between mainland Oban and Craignure on Mull. 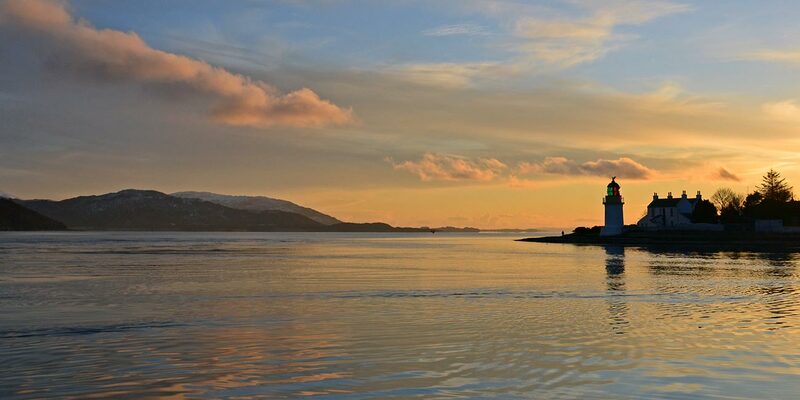 The Lochaline to Fishnish is the quickest ferry crossing to Mull. It's a longer drive from Tyndrum than the Oban route, but taking mileage and all ferry tickets into account, for an average car it's comparable in overall travel cost. Booking isn't possible, just arrive in good time. A standard car with two adult passengers currently costs £24.70 for a return journey. Travelling via the Corran ferry, add that return fare of £17.00 to total £41.70. Crossing time is 18 minutes. See the CalMac Summer 2019 timetable between Lochaline and Fishnish (until 20th October 2019). Driving distance between Tyndrum and Tobermory taking this route is around 86 miles and total journey time over land and water is at least 3 hours. Minimum journey time to Tobermory on this route is 4.5 hours from central Glasgow or 5.5 hours from central Edinburgh. To reach Lochaline, travel from the Corran Ferry towards Strontian, turning left just before the village on to a hilly single track road across the scenic Morvern peninsula. Scenic alternative motoring route: instead of crossing the Corran Ferry, continue through Fort William, turn off to Corpach then drive around Loch Eil on the A861 to reach Ardgour. The ferry to Mull from Lochaline, arriving at Fishnish. This Tobermory ferry from Kilchoan on the mainland Ardnamurchan peninsula is the longest route from the south, but overall probably the most scenic way to get to Tobermory. Booking isn't possible, just arrive in good time. A standard car with two adult passengers currently costs £29.20 for a return journey. Travelling via the Corran ferry, add that return fare of £17.00 to total £46.20. Crossing time is 35 minutes. 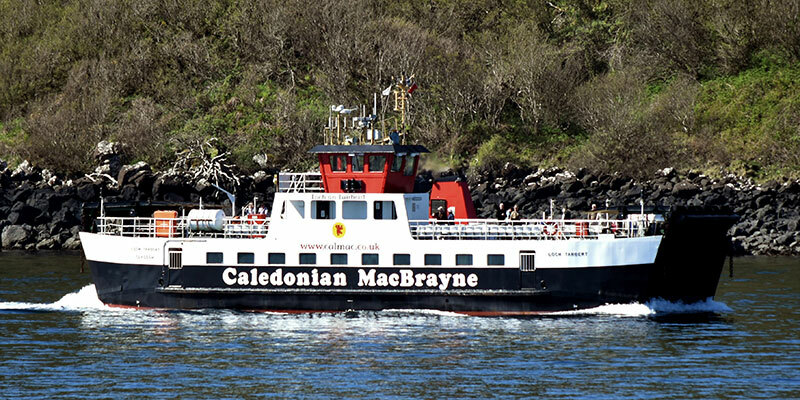 See the CalMac Summer 2019 timetable between Kilchoan and Tobermory (until 20th October 2019). Driving distance between Tyndrum and Tobermory taking this route is around 83 miles and total journey time over land and water is at least 3.5 hours. Minimum journey time to Tobermory on this route is 5 hours from central Glasgow or 6 hours from central Edinburgh. You can reach Kilchoan via the Corran Ferry, with beautiful scenery going through Strontian and then the Ardnamurchan Peninsula & Loch Sunart. Between Strontian and Kilchoan there are about 30 miles (one hour) of narrow, winding single track road. This route is a similar driving distance to the Lochaline-Fishnish ferry route but the Kilchoan ferry arrives, quite magically, right into the heart of Tobermory and only a couple of minutes' walk from Back Brae Lodge. Scenic alternative motoring route: instead of crossing the Corran Ferry, continue through Fort William and turn off to Corpach. Take the A830 through Glenfinnan, home of the Jacobite Monument and the Glenfinnan Viaduct (Harry Potter railway bridge), to Lochailort. Turn off here and travel through Glenuig and Acharacle to Salen then Kilchoan. 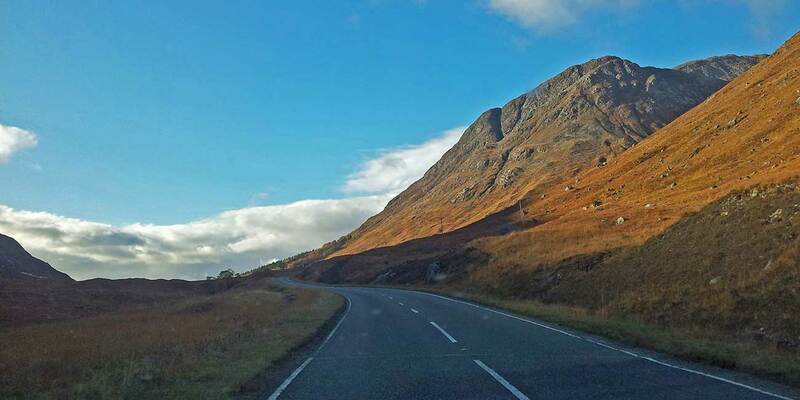 This route passes through some stunning West Highland scenery, and involves about 30 miles (one hour) of single track road between Kinlochmoidart and Kilchoan. The MV Loch Tarbert ferry sailing between mainland Kilchoan and Tobermory on Mull. To reach the Lochaline or Kilchoan ferries directly, travel on the Corran Ferry between Nether Lochaber (Corran, just south of Fort William) and Ardgour (Morvern). These are both points on the mainland, separated by fast-moving narrows across the sea loch, Loch Linnhe. A standard car with passengers currently costs £8.50 for a single journey. Crossing time is 5 minutes. Booking isn't possible, just arrive in good time. The ferry runs every 20 to 30 minutes, and is operated by Highland Council (not CalMac). See the timetable between Nether Lochaber and Ardgour (CalMac version) or the Highland Council version (probably more up-to-date). Driving distance from Tyndrum to Corran is around 38 miles (1 hour). The road runs across desolate Rannoch Moor and through spectacular Glencoe. The Corran ferry arriving from Ardgour, across the Corran Narrows. Crossing the Corran Narrows by ferry at sunset. Between Ardgour and Strontian, on the road to the Lochaline and Kilchoan ferries. Any numbers shown HIGHLIGHTED in the calendar below are available arrival dates - select one of these dates to view that stay. Alternative arrival dates may be available in the off-peak season - please ask. The available stays list will show you if particular dates are already booked. Once you're here, go shopping, eat out or see some wildlife. Read our reviews of Back Brae Lodge, local restaurants and holiday activities.